Hello everyone, and welcome to December!!!! I hope everyone is having a wonderful winter and great holiday season. Today I want to share a fun card with you that can not only be beautiful, but can stand alone, literally. I love dimension, as well as interaction, and this card does both. I also wanted to play with my new stamp set from Sin City Stamps, Winter Wonderland. I love the vintage images on this plate, and I think you will, too. Cut print paper to 5" x 7". 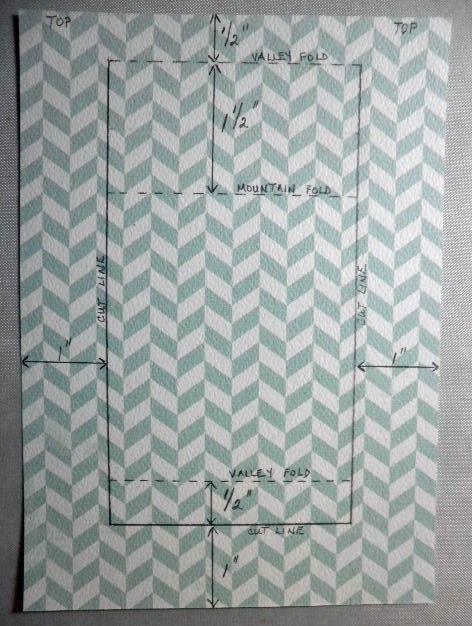 Follow diagram below to cut a window in this layer. 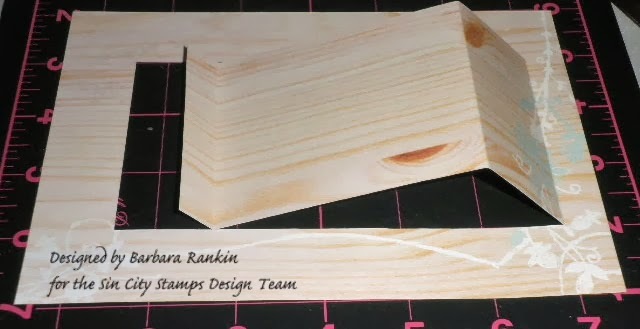 After you cut and fold this top layer, it will look like this. 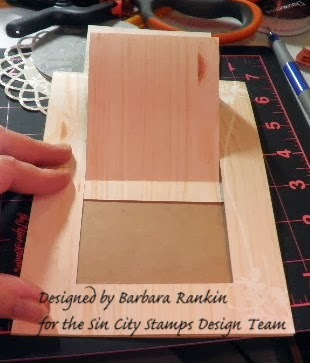 Trim a pull tab layer to measure 3-1/2" x 6" and adhere bottom of pull tab piece to bottom fold of window opening. 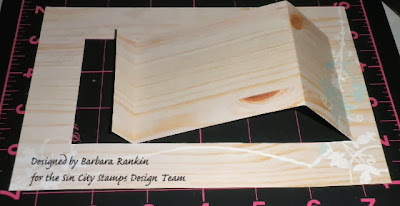 Before I adhere this to the card front, I want to make a pencil mark for where to stamp my phrase. 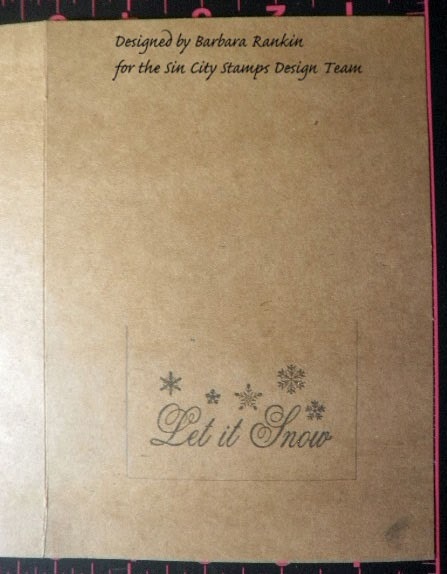 Center and stamp Let It Snow with Brilliance ink. Erase pencil marks. 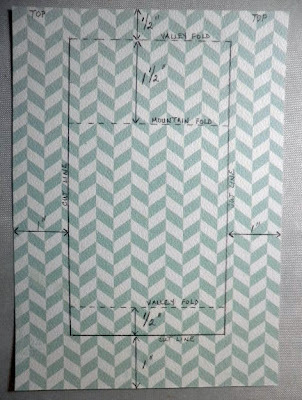 Add a tab punched from tan print paper to center top of pull tab layer. (NOTE: You can use any shape you have to make a pull tab, a circle folded in half, for instance, or just make your pull tab layer longer than 6", i.e., 6-1/2", so that it extends past the card top. 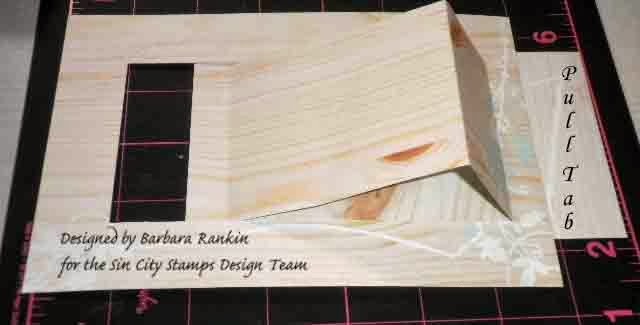 Turn card layer over and add adhesive strips around side and bottom edges only. 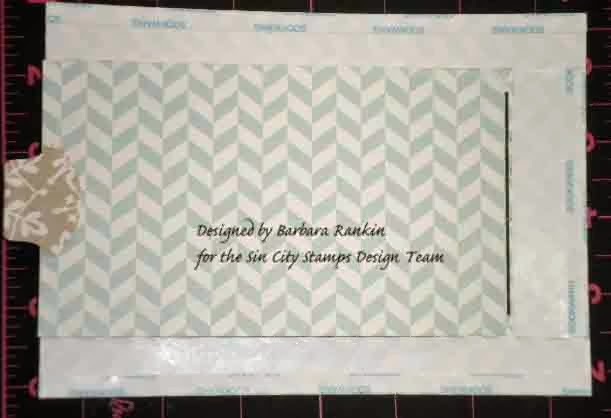 Leave top free for the pull tab layer. Adhere to top of base card. 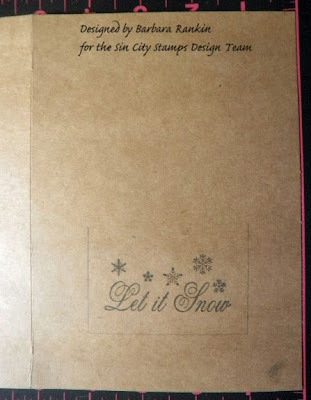 Stamp skaters onto blue print paper with Brilliance lightning black ink, die cut into circle. 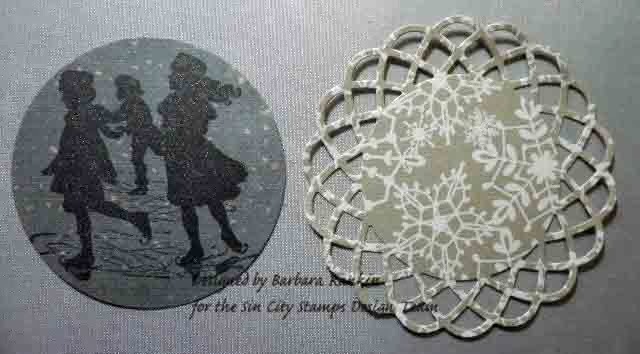 Die cut doily from coordinating tan print paper. Attach circle to doily with foam tape for dimension. Die cut street light from dark gray print paper. Add and trim small piece of transparent tape to back of light fixture and add tiny piece of gold gilding flake to sticky side of tape, rubbing gently to remove excess. 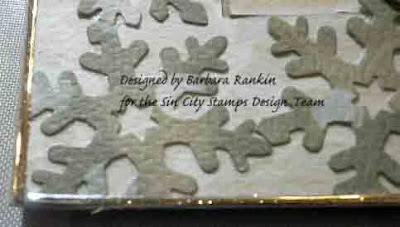 Punch three snowflake strips from tan print paper. 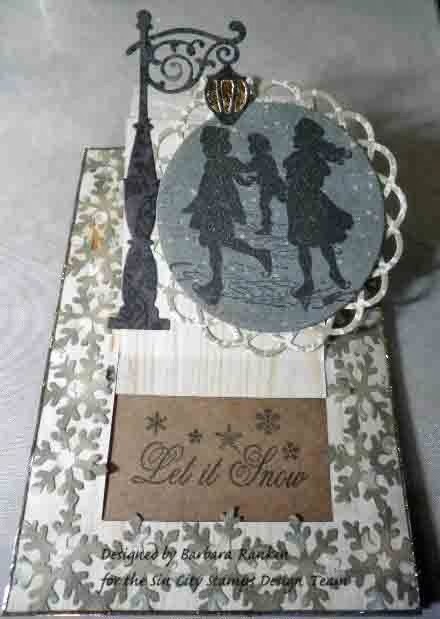 Edge snowflakes with Iced Spruce distress ink. 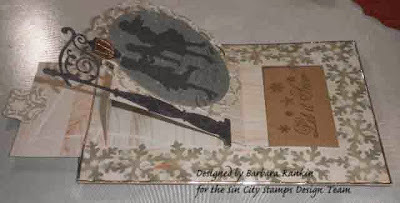 Adhere to all three sides of card front. 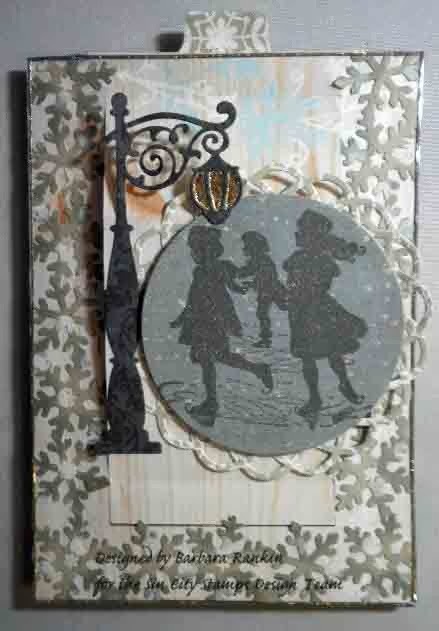 Add glitter lines stickers around perimeter of card to finish off all edges. Here is a view of the card from the side. 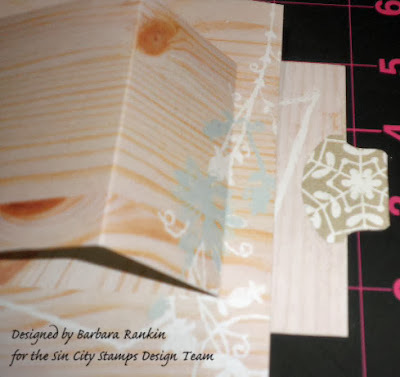 I hope you enjoyed my tutorial for this fun easel card. 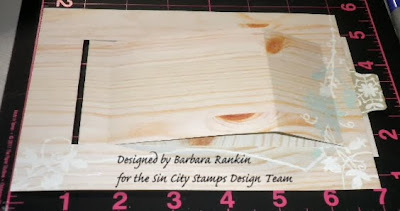 They make wonderful cards to display by the recipient, and with Sin City Stamps, you have all the tools you need to make fabulous cards. 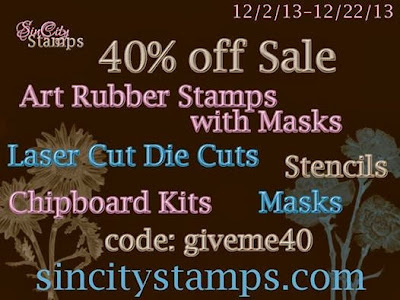 So check out all the new products here, and the fabulous sale going on this month. Even all of the newest products are on sale. Thanks for stopping by, and have a wonderful weekend. 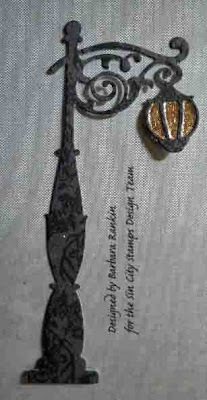 If you would like to see more of my work, I would love for you to visit me at Black Hole Art Studio. Stunning Barbara, love everything about this, that lamp post looks amazing. Great tutorial too!! 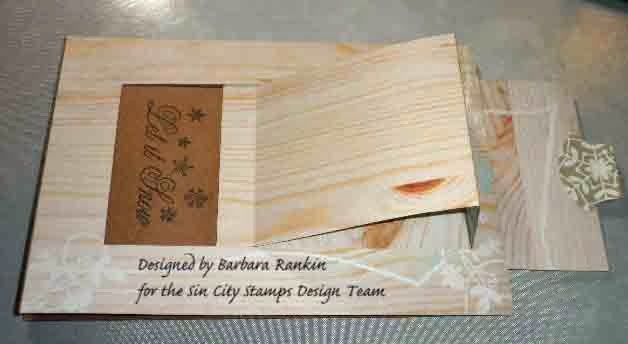 Fabulous as always Barbara, Thanks for all the amazing details. Love it Barbara. I can't wait to get back to my crafts. 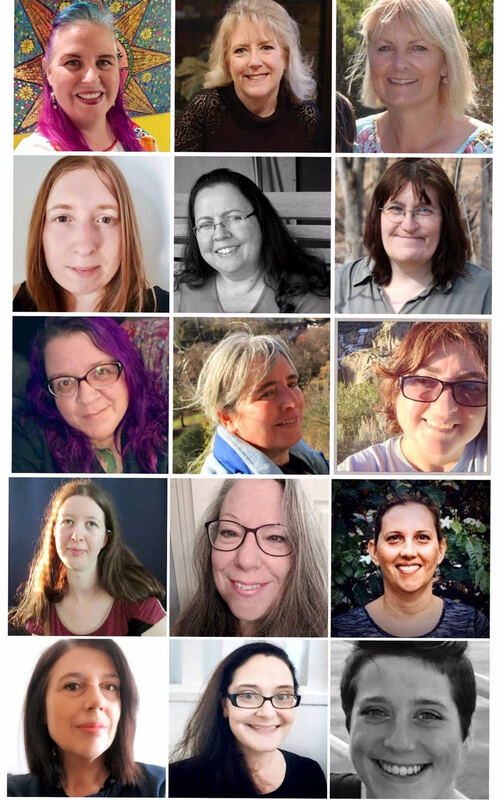 I have been playing catch up.